I guess I’m pretty much what is considered a foodie. Or maybe foodaholic is a better word. I live for food. Eating food, cooking food, reading about food…etc. I haven’t read a novel in quite some time but, to the Husband’s amusement, I have read hundreds of food magazines and recipe books. I’ll take a recipe book to bed for some late-night reading. Who needs ’50 Shades’? I bought the BBC GoodFood magazine the other day, but I was really disappointed. There were few recipes I’d actually bother trying, and I was pretty uninspired. This was a sad day. Their ideas for ‘easy midweek cooking’ included Ginger Miso Aubergine Noodles, and Artichoke & Olive Calzones. Is it just me? When I’m looking for a recipe the first thing I look at is the list of ingredients. How many, and how ‘normal’? Could I whip it up from my store cupboard ingredients? That’s always a selling point. Then I look at the instructions. How long am I going to have to spend in the kitchen? 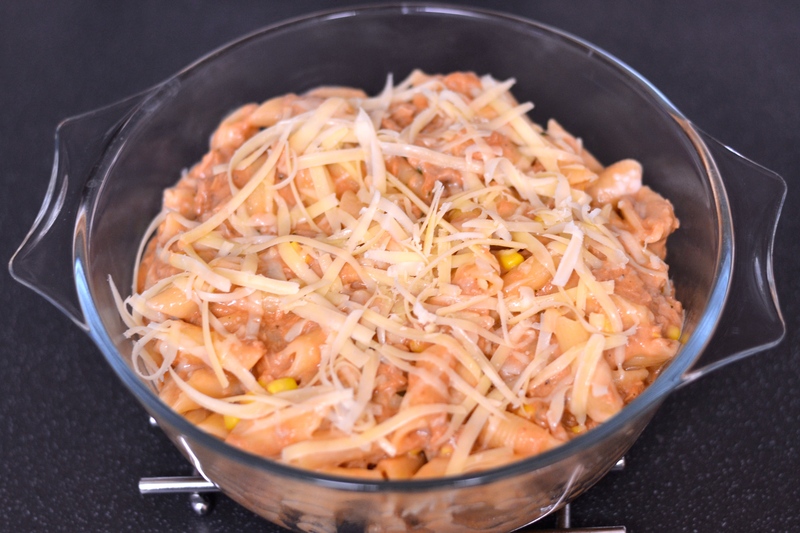 A couple of times a week I’ll make something a bit more complicated, for the Husband and I, but generally I’m looking for fairly straightforward recipes that I can feed the kids (or at least alter to suit). This is one such recipe. The original comes from Annabel Karmel, but I’ve simplified it and made it suit my family (no onion was harmed in the making of this dish). 1. 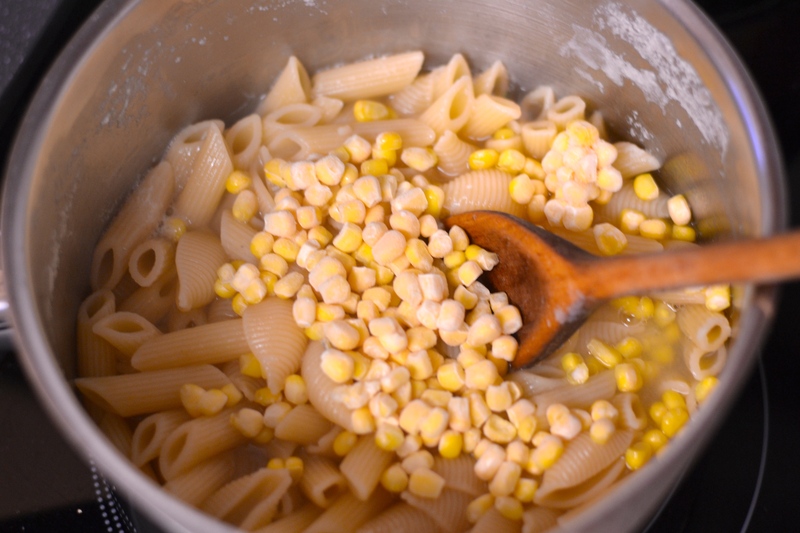 Cook the pasta in a pan of salted boiling water until cooked to your liking. 2. 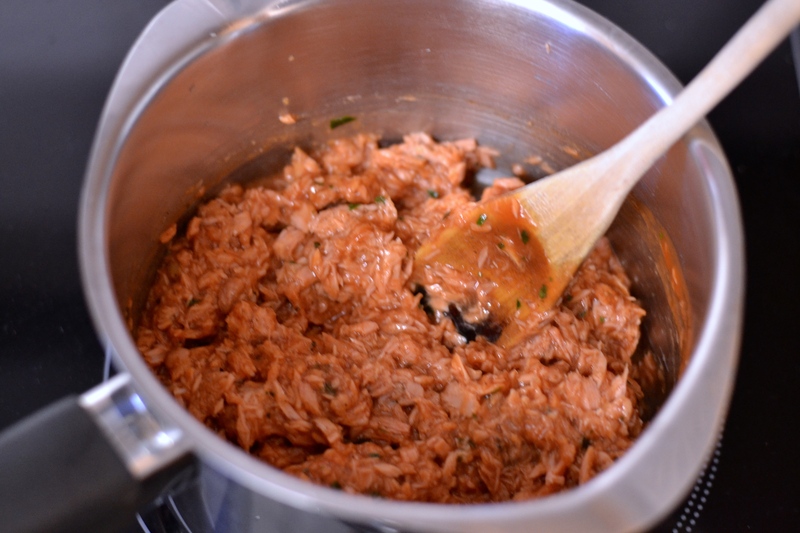 Tip the tuna, passata and basil into a small pan and gently warm. Season to taste. 3. 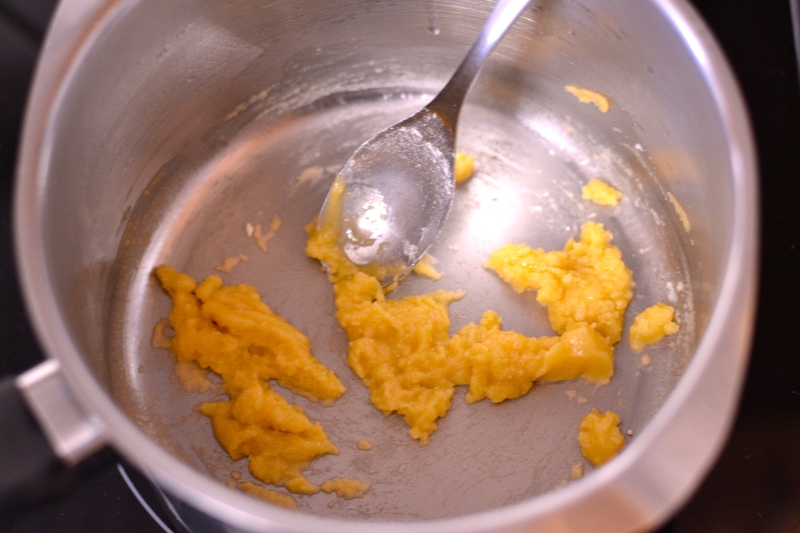 Melt the butter in a pan over a medium heat. 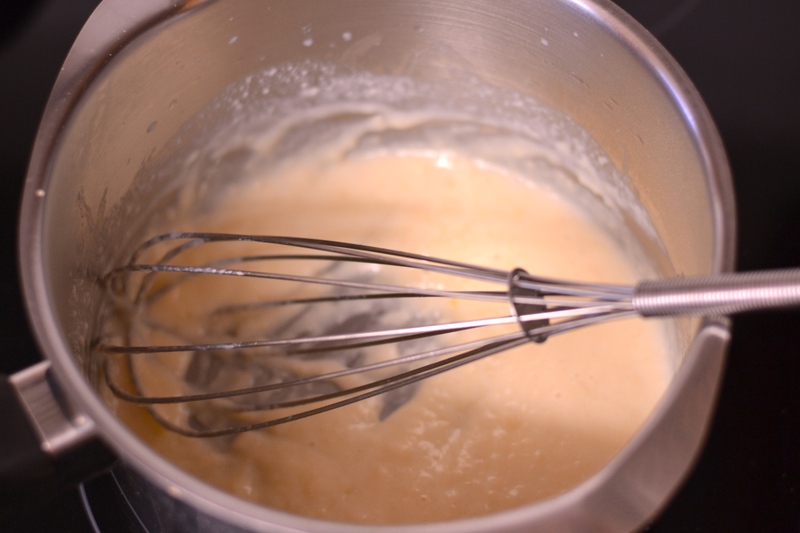 Once melted add the flour and mix to a paste. 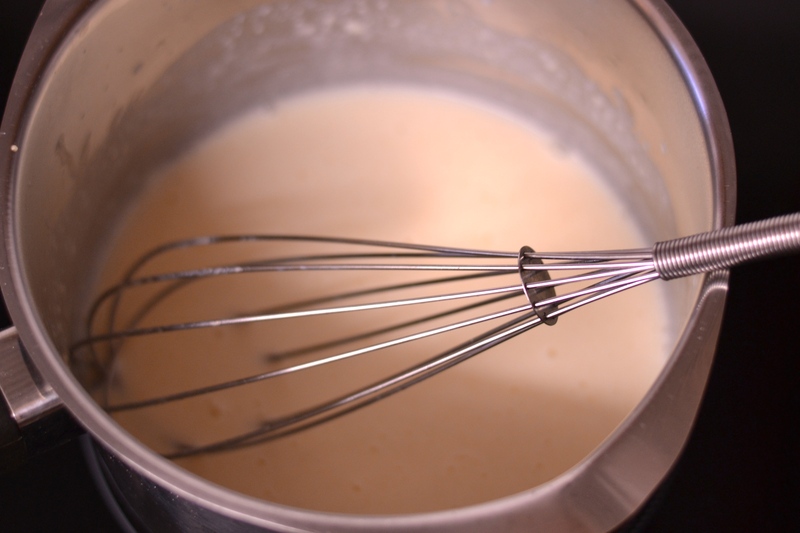 Let this cook for a couple of minutes (this cooks the flour and prevents your sauce from tasting floury), then gradually start adding the milk whilst whisking. 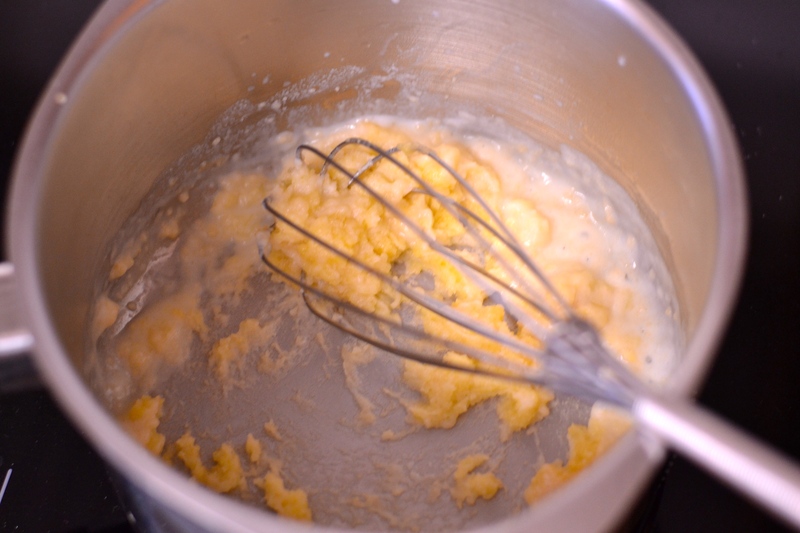 Keep whisking to ensure there are no lumps, then stir with a wooden spoon until the sauce has thickened. 4. 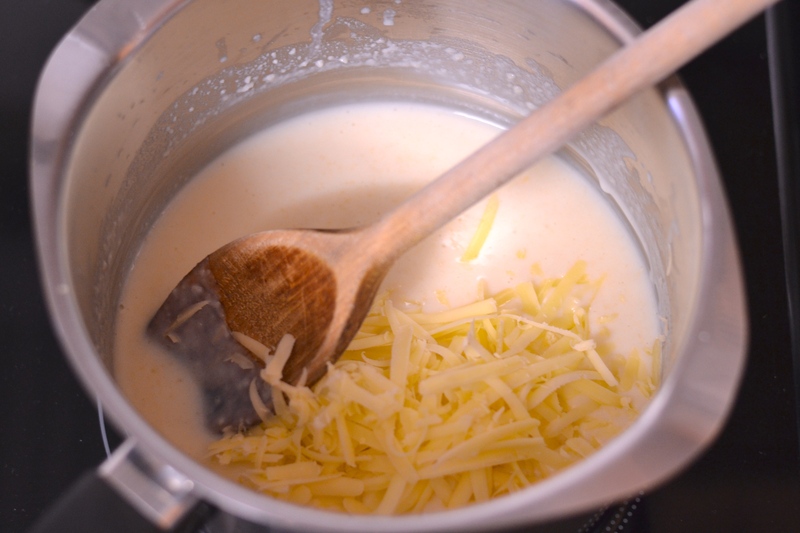 Add the cheese and stir until melted into the sauce. You can add a little white pepper to taste if you like. 5. Once the pasta has cooked, strain it then return to the pan. Add to this the tuna and the cheese sauces. 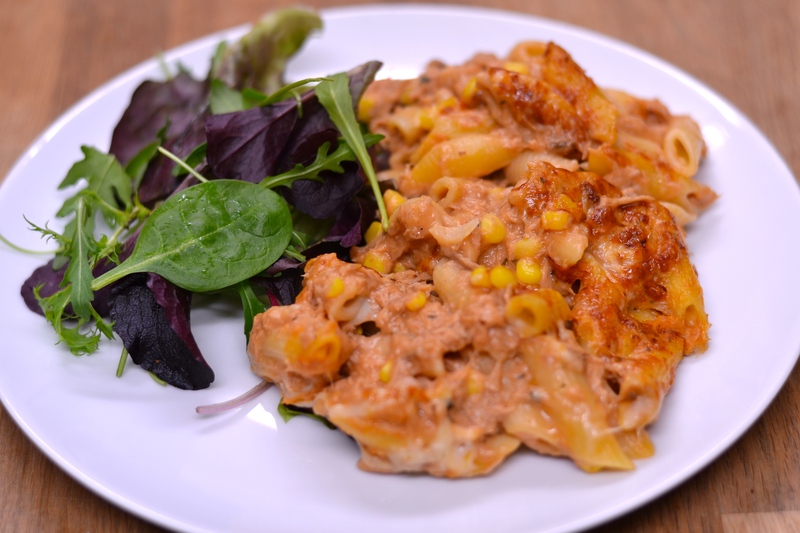 I added some frozen sweetcorn at this point to give some crunch. 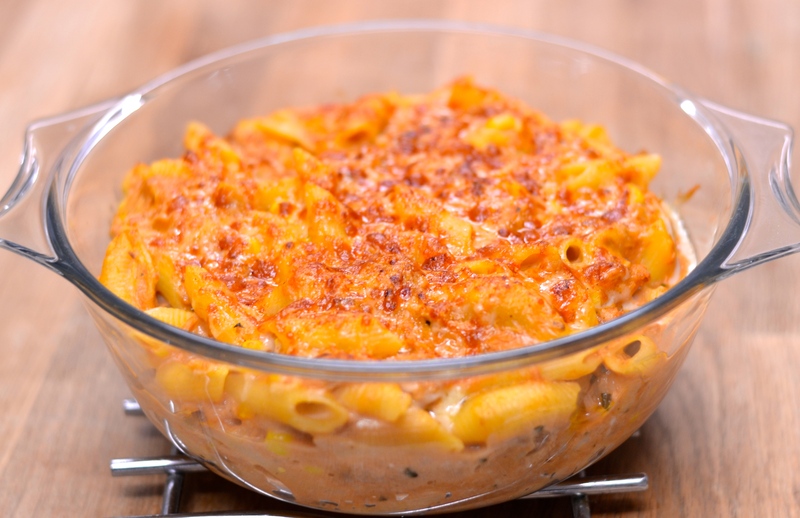 Pour into an ovenproof dish and top with some grated cheese. 6. Pop this until a preheated grill until the cheese is melted and golden. But it is worth the extra bit of effort – and by effort, I’m talking a few more pans, and a cheese sauce, nothing complicated. 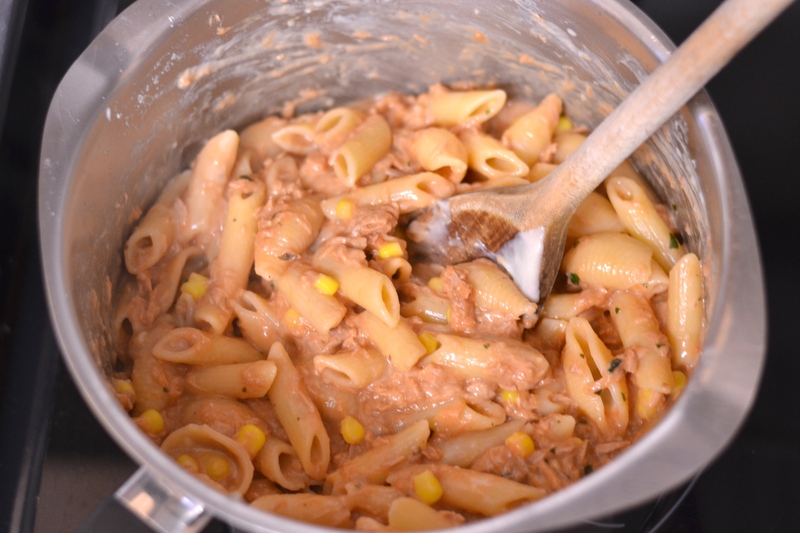 This served one adult and four children, but with a bit more pasta would easily feed two adults and numerous children. If I were making this just for the kids, I’d halve the sauce quantities. 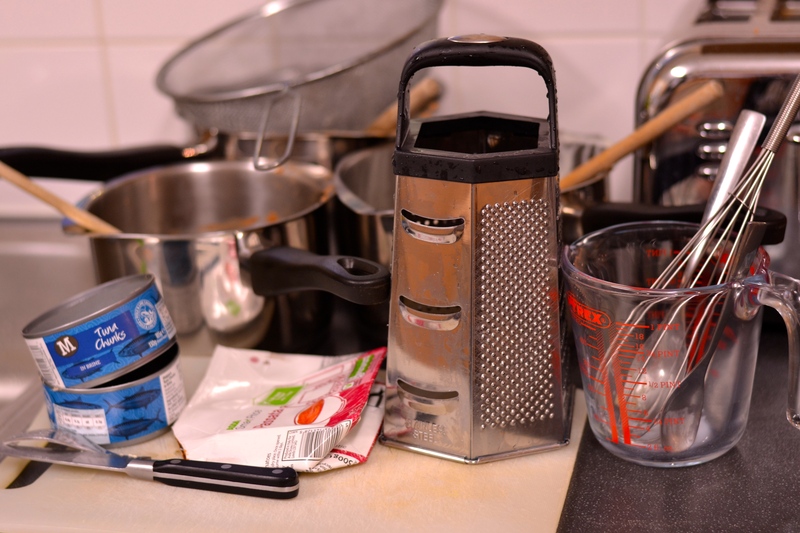 As a guide I use 80g pasta for an adult, and 50g for a child – however, we have big appetites in my house, so use what you know suits you. And as with any recipe, you can change it up, add ingredients that your family like, do whatever you fancy. I’ve made this into a tuna lasagne before, just layered the 2 sauces with some lasagne sheets. It’s a lovely dish that my lot wolf down – always a winner!